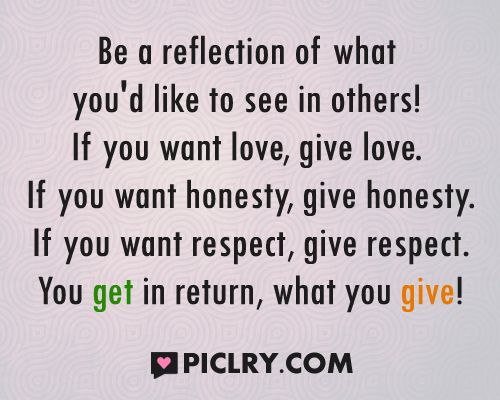 Be a reflection of what you’d like to see in others! If you want love, give love. If you want honesty, give honesty. If you want respect, give respect. You get in return, what you give!